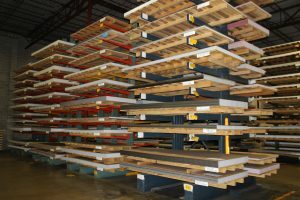 Aluminum Sheets - Aluminum Sheet Metal | Wrisco Industries Inc.
Wrisco Industries Inc., the prefinished aluminum specialist can benefit your business with more than fifty colors, a wide assortment of gauges and the largest ready-to-ship inventory of prefinished aluminum sheet and coil in the industry! Prefinished Painted Aluminum, Anodized, 70% PVDF, Mill Finish Aluminum and Aluminum Tread Brite are each processed from the highest quality aluminum coil, mill direct, on one of Wrisco’s computerized cut-to-length lines. Leveled, sheeted, blanked, and slit – metal excellence guaranteed. Sheets are sold in an extensive range of standard stock sizes and gauges. Special width and length inquiries are welcomed. Nonstock custom color painting is available, call for mill minimums and details. Please see the Wrisco Aluminum Stock Chart for all stock finishes, colors, gauges and widths. Mill Certificate of Specifications obtainable upon request. Prepainted Aluminum Sheet Finishes, also known as painted aluminum or painted aluminum sheet finishes, offer extreme durability in outdoor exposure as well as indoors because of our high-quality paint system. Wrisco painted aluminum sheet finishes are uniquely designed in that they offer a hard, abrasive resistant coating, yet allow the flexibility for extensive forming and fabricating. You won’t find a more versatile but strong brand of aluminum sheets than you will by Wrisco! Anodized Aluminum Sheet Finishes offer an exciting breakthrough with two-step continuous coil anodizing. The state-of-the-art process for creating an anodized aluminum allows for perfectly colored sheets. With uniformity, durability, and capability for exterior use, Wrisco anodized aluminum sheet finishes and colored aluminum sheet metal is far superior than any other brand. Abrasion resistance adds to improved brake forming characteristics. Bright Anodized Finishes use brightening treatments to maximize a sheet’s reflective traits. Highly recommended for outside, fade resistant applications are extremely versatile for unique design opportunities and it becomes obvious why Wrisco aluminum sheets are #1 in the industry. 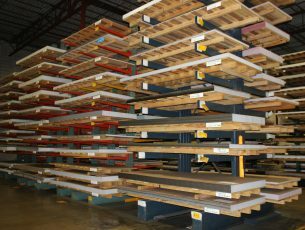 Mill Finish Aluminum Sheets provide a wide range of job demand possibilities. Enjoy infinite applications. Ideal for fabrication and custom paint finishing. Wrisco provides a selection of the aluminum sheets you need for a range of unique projects. Aluminum Tread Brite services a wide variety of architectural and industrial uses. Interior or exterior, aluminum diamond tread bright sheet, presented in a wide assortment of gauges and sizes, always results in a quality end product. No matter what type of sheet aluminum you need, Wrisco is here to provide you with the most durable and extensive aluminum metal sheet options.